Strawberries are a staple in our fridge when they are in season. Two of my boys will literally grab handfuls from the container and just eat them on a whim. And we love to cook with them. Especially scrumptious desserts. 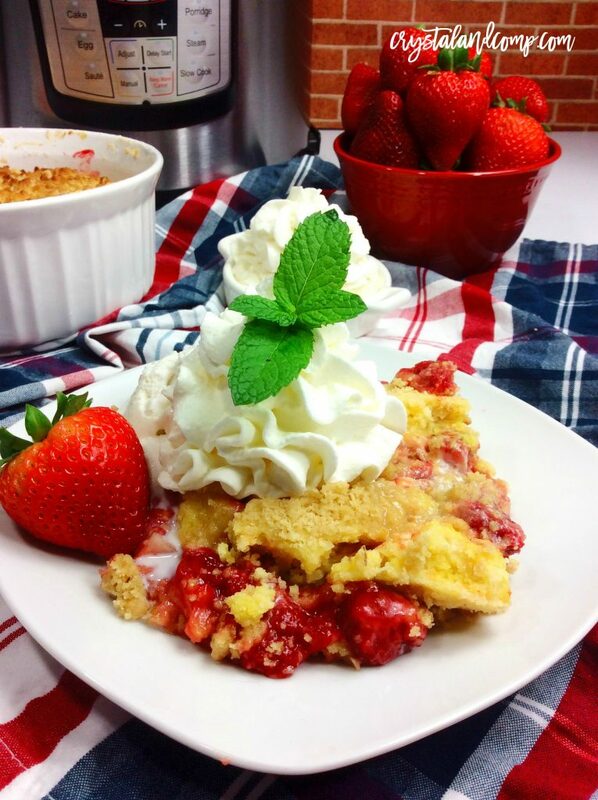 If you’re on the hunt for some delicious strawberry recipes, you’re in luck! We even use the pressure cooker to make this, which keeps the house cool! 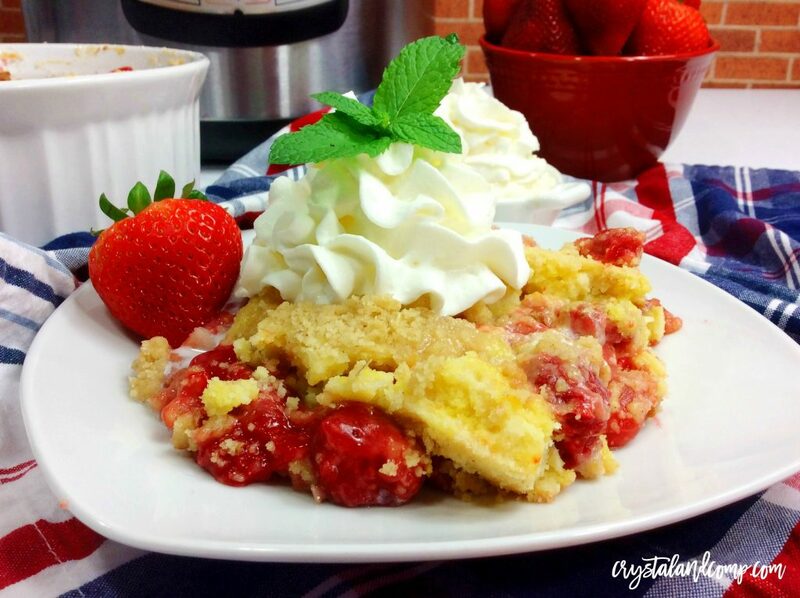 Check out how easy it is to make this Instant Pot Strawberry Dump Cake. Gather up all of your ingredients. Grab a bowl that is pressure cooker friendly. A porcelain oven proof casserole bowl will work. 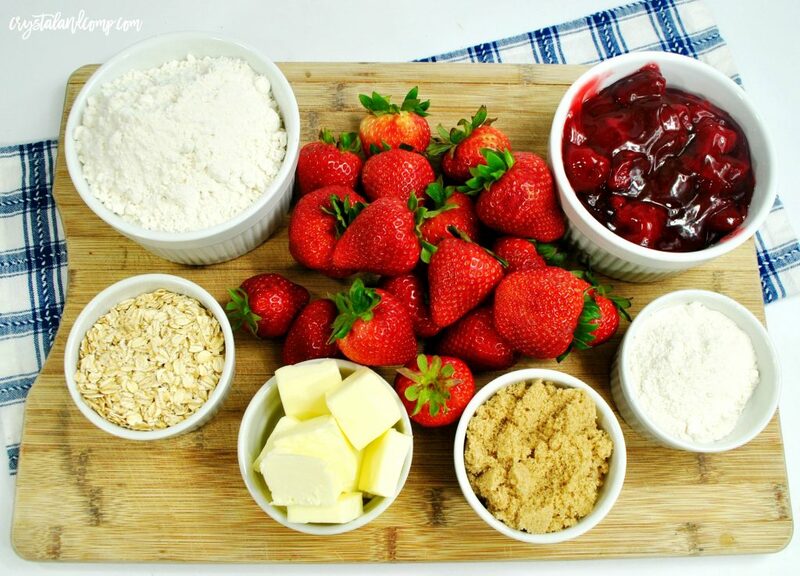 To this bowl, add the strawberry pie filling, vanilla extract, and strawberries that have been sliced with stems removed. Pour your cake mix on top of the strawberry pie mixture just right out of the box. Cut the butter into pats and place on top of your cake mix. Cover the bowl in foil. Place the bowl on top of the trivet inside the Instant Pot. POUR ONE CUP OF WATER INTO THE BASE OF THE INSTANT POT. When cooking in the pressure cooker you must have at least 1 cup of liquid, as this is what helps the Instant Pot pressurize and cook the food. Set the Instant Pot to manual high pressure for 10 minutes. Meanwhile, while this is cooking, let’s prepare the crumble. Add all other ingredients and remove from heat and stir until well combined and set aside. Once the timer goes off on the pressure cooker and it stops cooking, allow it to slow release for 10 minutes and then you can remove the lid. Take the foil off the baking dish and add your brown oat sugar crumble. Pop it in the oven using the high broil setting for 5 minutes, uncovered. This will give it a gorgeous golden finish. Spoon onto plates and serve with a scoop of vanilla ice cream. Are you looking for fast (but healthy) dinner ideas for your busy family? 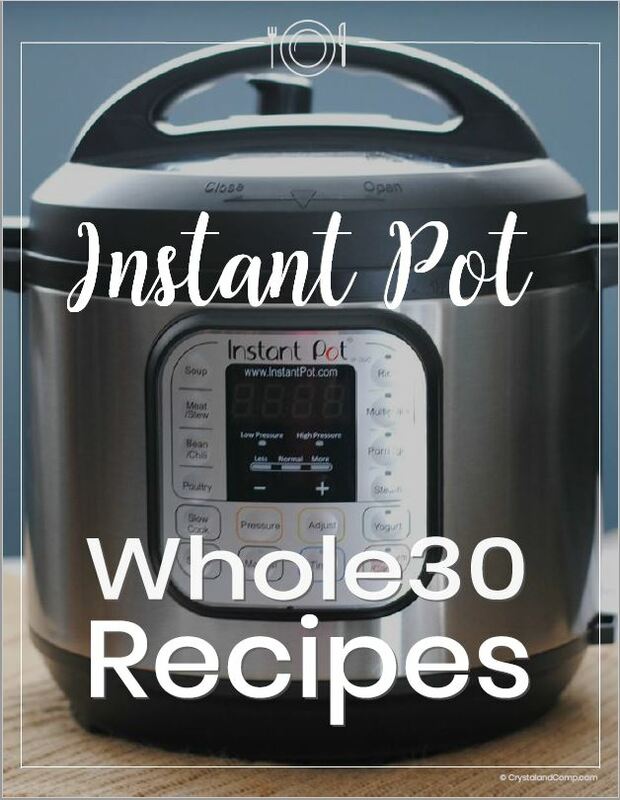 Check out our instant downloadable cookbook that has Instant Pot Whole 30 recipes your family will love.